Slings are the most common type of rigging: they support a load by wrapping around it or by connecting to it. Industrial overhead cranes have controllers that give the operator control of all of the crane movements. If there are problems with ropes or chains, they should be rejected. If you're unsure whether a rope or chain is safe talk to a supervisor before lifting. This course is intended for Canadian-based companies and individuals and meets Canadian regulations. The course covers the basic components and functions of floor-operated overhead cranes used in industrial facilities. It also covers the inspections of cranes and rigging components that many facilities require to be performed before a crane can be operated. 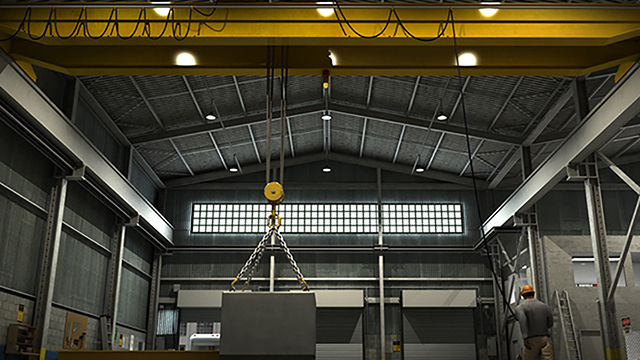 This course is based on relevant standards for overhead crane safety, as well as recognized general industry best practices. 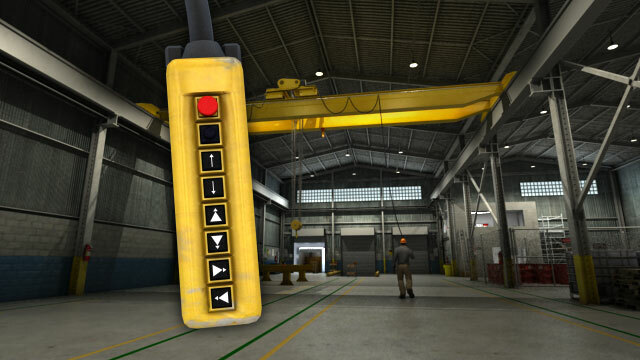 Using clear and concise diagrams and animations, this training covers the following topics: the components of overhead cranes; the function of overhead cranes; the function of rigging and slings; common pre-use safety inspections for cranes and rigging; and the importance of personal protective equipment. What are the three primary types of cranes? The three primary cranes used in industrial settings are: bridge cranes, gantry cranes, and jib cranes. What does "rigging" mean, and what is the most common way to do so? 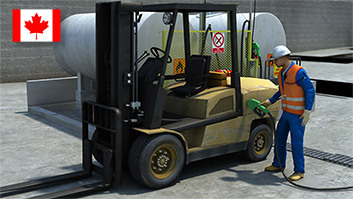 The term "rigging" refers to any equipment used to attach a load to the crane's hook. 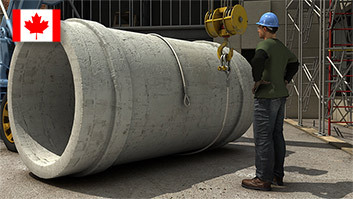 Slings are the most common type of rigging; they support a load by wrapping around it or by connecting to it. What three things must be verified before a lift is attempted? The three things that must be verified are that the crane and rigging must have been inspected, the crane and rigging must have enough capacity to lift the load, and the load and rigging must be stable. What kind of hoist lines are used for various crane types? The hoists on different cranes use different hoisting lines. 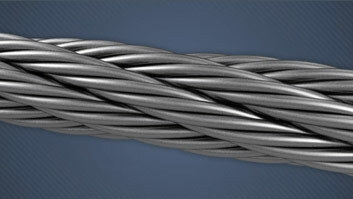 Wire rope is used on larger cranes. Smaller cranes can use link chain, leaf chain, or roller chain. What rules should be followed, in regards to personal protective equipment, when working around industrial cranes? When working with industrial cranes one should: wear gloves to protect your hands, wear steel-toed shoes, avoid loose clothing and jewelry, and wear a hard hat. Your workplace might have other rules about required protective equipment, such as eye protection or hearing protection. 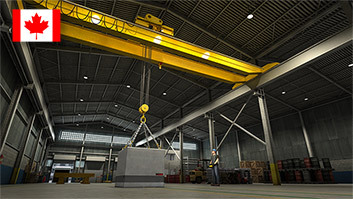 Cranes are used in factories, warehouses, and shipyards to provide lifting and movement of heavy objects within the area covered by the cranes' area of operation. Three primary types of cranes are used in industrial settings: bridge cranes, gantry cranes, and jib cranes. Bridge cranes are mounted on parallel rails attached to elevated wall structures. The bridge is a beam that runs between the two rails. A trolley with a hoist mechanism travels back and forth on the bridge. Gantry cranes have a bridge supported by two legs that move along floor mounted rails or on wheels. As with the bridge crane, a trolley runs back and forth on the bridge. Jib cranes have a jib or a boom that is mounted to a wall or a mast. The jib crane swings in an arc around its pivot, and the trolley runs from end to end on the jib.